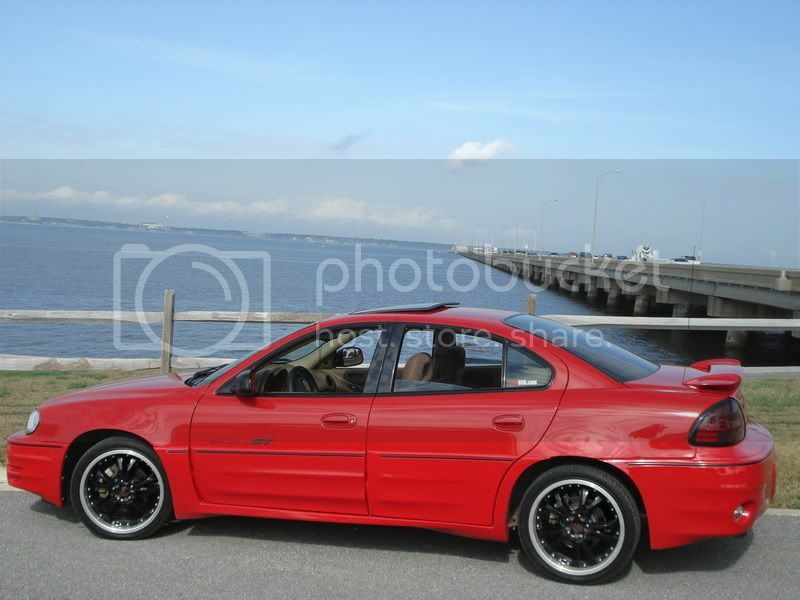 Do you think it would be a good idea to put a 3/4 inch thick pinstripe on a 2002 grand am se to resemble the moulding on a grand am GT. Do you think it would look like the GT with this pinstripe on the SE. Or should i buy some black moulding and put it on. Other recomendations? I say, don't be lame, don't do that, and do a...wait a minute..you say an SE to resemble a GT but your info says you have a GT, which is it? The SE molding spacing is narrower than the GT's, you'd just have twice as many lines going through. It just wouldn't look good. i guess i wont do it then. really.........i just took some pics.........where and how do i upload them to show you?? FINALLY GOT THE HTML CODING RIGHT .!!!!!! !READ THIS ONE!!!! 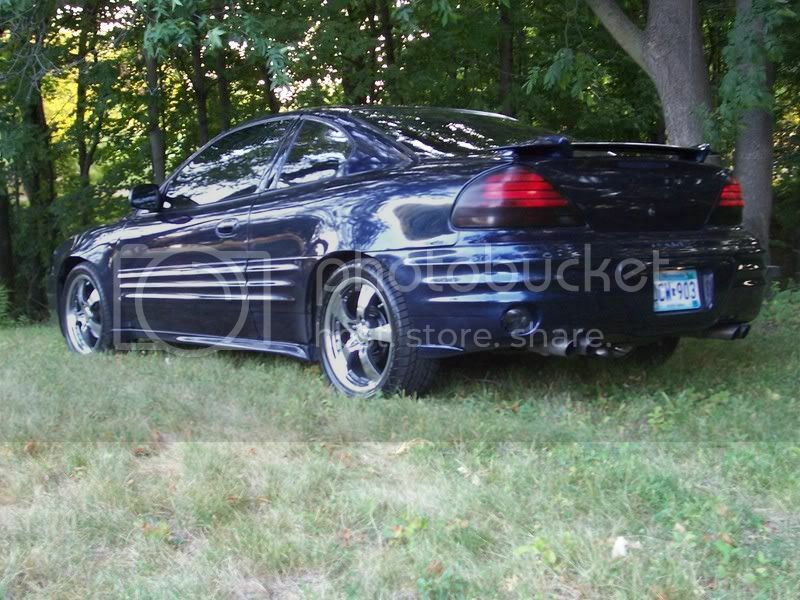 Vehicle: 2003 grand am gt 4dr. /\ ditto. And please do not do the stripe. Looks bad. All the different vinyls you have on it and the different fonts make it look just way too busy. you think i should get the overlays for the molding even though i dont have the molding itself......thats what i was thinkin too.